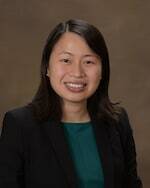 Quynh-Anh V. Nguyen is a passionate litigator with diverse experience and a strong background in litigation and alternative dispute resolution. Quynh-Anh commits 100% of her practice to business litigation matters. Quynh-Anh’s litigation practice includes employment and partnership dispute resolution, intellectual property conflicts, mediation, arbitration, reviewing business contracts, and drafting operating and employment agreements. She also handles matters involving breach of contract, creditor and shareholder rights, and membership disputes. Before joining Structure Law Group, Quynh-Anh was an associate attorney at Hoover Krepelka, LLP where she grew her litigation practice. Quynh-Anh graduated from the University of California, Irvine with a double major in Comparative Literature and Film & Media Studies. While at UCI, she was selected to present at the Undergraduate Conference in Critical Theory hosted by the acclaimed Critical Theory Emphasis Program. Quynh-Anh received her Juris Doctor degree from the University of California, Hastings College of the Law, which she attended on the Dean’s Scholarship. While at Hastings, she served as Senior Managing Editor of the Hastings Race & Poverty Law Journal. Quynh-Anh speaks English and conversational Vietnamese. In her free time, she enjoys reading high fantasy novels and playing with her dog, Cookie.